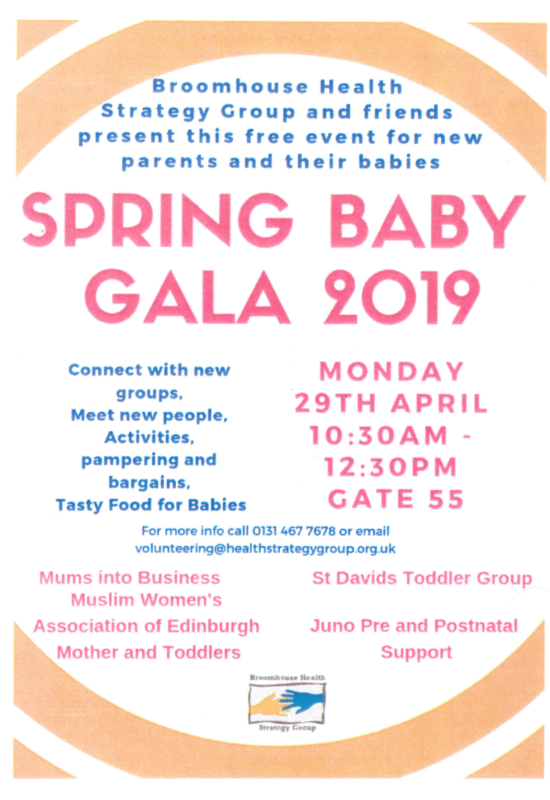 The Broomhouse Health Strategy Group will be holding a free 2019 Spring Baby Gala for parents and their babies on Monday 29 April 2019, 10.30am – 12.30pm, at Gate 55. Head along and connect with new groups, meet new people, take part in activities and maybe even grab a bargain. The event will be attended by Mums into Business, Muslim Women’s Association of Edinburgh, Mother and Toddlers, St Davids Toddler Group and Juno Pre and Postnatal Support.